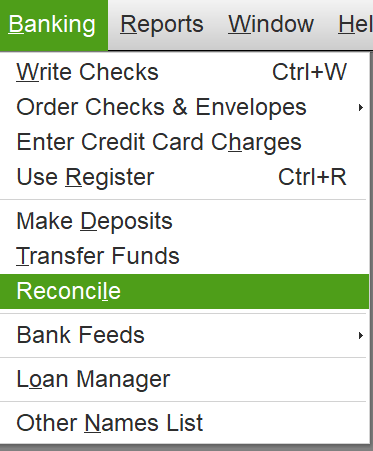 Click on banking in the top menu bar, then click on reconcile. Confirm the bank account you wish to reconcile, the statement date, the beginning balance should match your bank balance, the ending balance should match your bank ending balance. Click continue. Check the box that says hide transactions after the statement’s end date, check the transactions that appear on the bank statement. 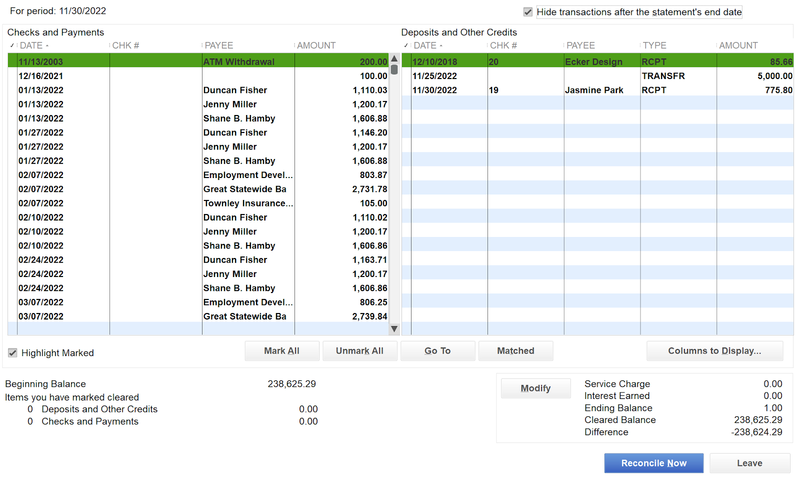 Leave the transactions that do not appear on the bank statement un-checked. Continue until the difference in the lower right corner is zero dollars. Then select reconcile now.